Back when the 1955 two-seat version was introduced, people would have told you to have your head examined had you said “A four-door version of this car would be great!” Well, things change: by 1958 there was a back seat, and for 1967 a four-door sedan made its first appearance. 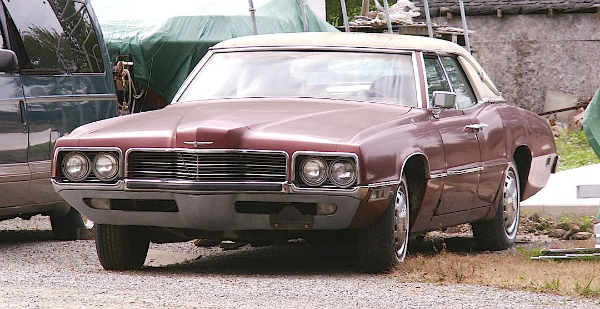 This red 1971 Ford Thunderbird Landau represents the final model year of the elegant four-door with its suicide doors, formal roofline, and “beak” grille — perhaps not the best-looking out of the five-year run, but still a head-turner. Saw this one a month or so ago while traveling through Virgil, Ontario. Jim Corbran, RRofWNY …and check out our Facebook page: Un-American Classic Cars The post RealRides Of WNY appeared first on Buffalo Cars.